Last summer, I had the great privilege of trying l.c. of acirema’s Queen of Mug Herbal Toner. I hadn’t used toners much before then, but man… I fell in love with that toner. Immediately after applying it to my face, I could see it brighten and tone my skin. I would love to be able to recreate her toner, but I am not an herbalist, and I am pretty sure I would never be able to perfect her recipe. If you want to check it out, you can find it in her Etsy shop. Side note — she also makes a linen spray that is heavenly. I’m addicted to it. I found myself with a lot of rosemary on hand, and I needed to use it up. I roasted a chicken last weekend and made homemade chicken broth and that used up some of it, but I still had more to use. Unfortunately, my husband isn’t a huge fan of rosemary… but I think I am still going to make some roasted potatoes with olive oil and fresh rosemary, very soon. 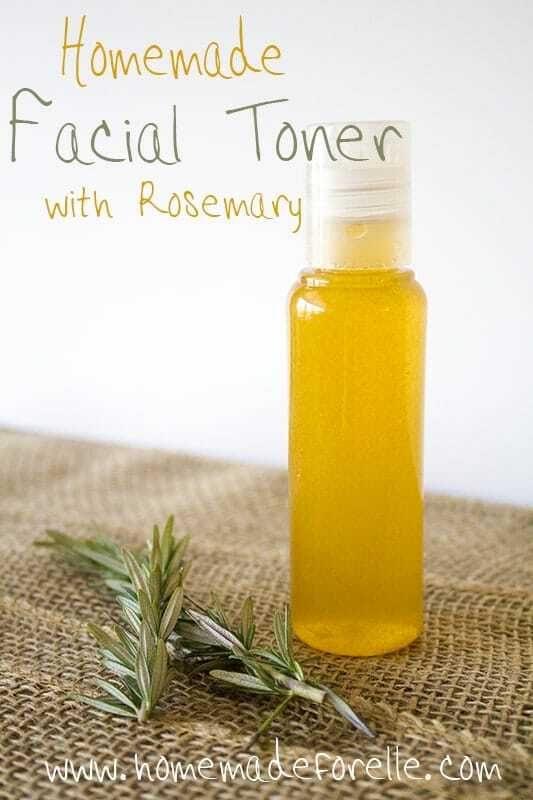 In the interim, I wanted to create a homemade facial toner with the rosemary. It was an incredibly easy process, and only took about 5 minutes. Combine water and rosemary in a small pan and bring to a boil. Reduce heat to medium and allow to simmer, until reduced by half. Remove from heat and allow to cool. Strain through a fine strainer, and add apple cider vinegar. Store in a reusable container (I picked mine up for $1 around the trial-size bins at the market). Rosemary is rich in vital nutrients, including iron, calcium, and antioxidants. It may help prevent signs of aging, treat acne, and prevent infection (source). It also has aromatic properties that may sooth and rejuvenate. Apple cider vinegar helps battle acne, and may help reduce age spots (source). The two combined leave you with a fresh, radiant glow! Do you use a homemade facial toner? What is your skin routine? First Timer to your website and this was by far the easiest to follow , I will try my creation and I will let you know if I notice a difference.I have oily t zone and hope to get the full benefit from this versatile herb rosemary. hello! can i used dried leaves of rosemary instead of fresh, coz i don’t know where to find fresh rosemary here in UAE. 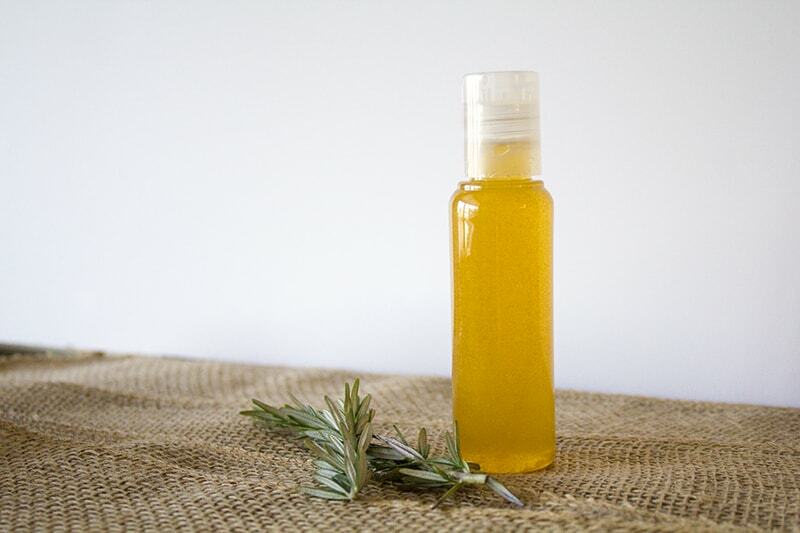 I have never personally used dried rosemary before, but I found this recipe (http://www.herbalmusings.com/rosemary-facial-toner) that uses dried leaves. I’d definitely be interested to hear how it turns out if you end up making it! I am going to try lemon juice instead of apple cider vinegar. The smell of vinegar tends to make my daughters alcohol allergies panic. Oddly enough the psychosomatic can create reactions or if she does get exposed which is really easy increase the virulence of her reactions. I would love any thoughts on alcohol free soaps, cleaning supplies, but especially shampoos and beauty supplies. 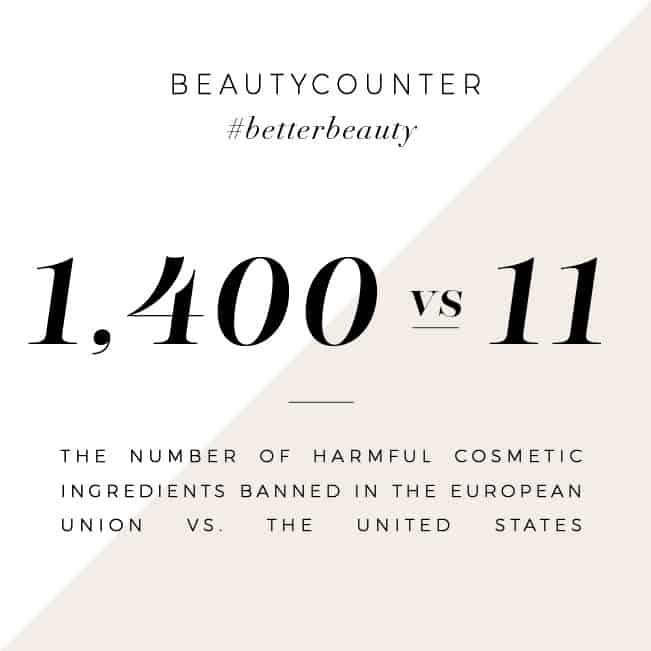 The oil based soaps we use create drain residue. I’ve used this toner for about 4 months now and I love it. So easy to make, so simple to use. Very inexpensive as well… and yes it works wonders I wish I could include a picture. My skin is so soft, clear and smooth. I use toes toner after oil cleansing with coconut oil. It removes and residue, tightens my skin and pore, yet doesn’t over dry my skin. The vinegar does overpower the rosemary scent though. I only wish there was some was to mask to vinegar scent. Thanks for sharing your experience, and I am so glad it is working well for you! I agree – handcrafted toners do have that overwhelming vinegar smell to it. I will try to brainstorm and see if I can come up with another recipe to help. You’re welcome! Thank you for replying! Please let me know of you do come up with something… Until then I’ll just be continuing this recipe lol ðŸ˜‰ …it definitely works! Great recipe. Could I use witch hazel AND apple cider vinegar ? Or is that too harsh for the face? I haven’t personally used both in a toner, but I don’t see why it wouldn’t work. I found this recipe that utilizes both. If you try it, and it works well, please let me know! Hey Andrea, this looks amazing. I am going to have to try it out. If your interested in making it fully organics or extending the shelf-life I would recommend finding a substitute for the the water. That will be the ingredient to make it go sour first. Thanks Olivia! Do you have any recommendations on what to use in place of the water? I found your recipe and can’t wait to try it, just one question, what’s its shelf life? This product should last at least 6 – 12 months. Hope you enjoy it! Hi Andrea, I just saw your reply, thank you very much! Just one thing, after a couple of weeks my toner got some kind of turbid residue on the bottom, which would go away if I shook it, did this happen to you too? Thanks again for sharing this recipy! i like to wash my face in the morn and i always (well, almost always) use a toner after. My facial toner is 3 TBSP witch hazel and 14 drops lavender or sweet orange EO. 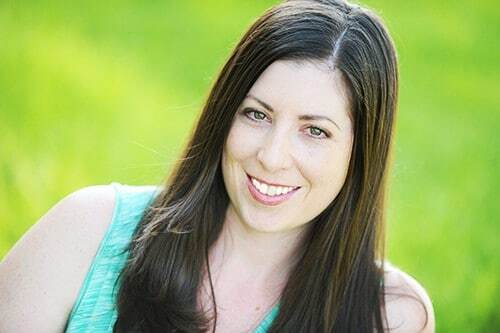 I hadn’t thought of using witch hazel as a toner, but that is a great idea. I will try that!